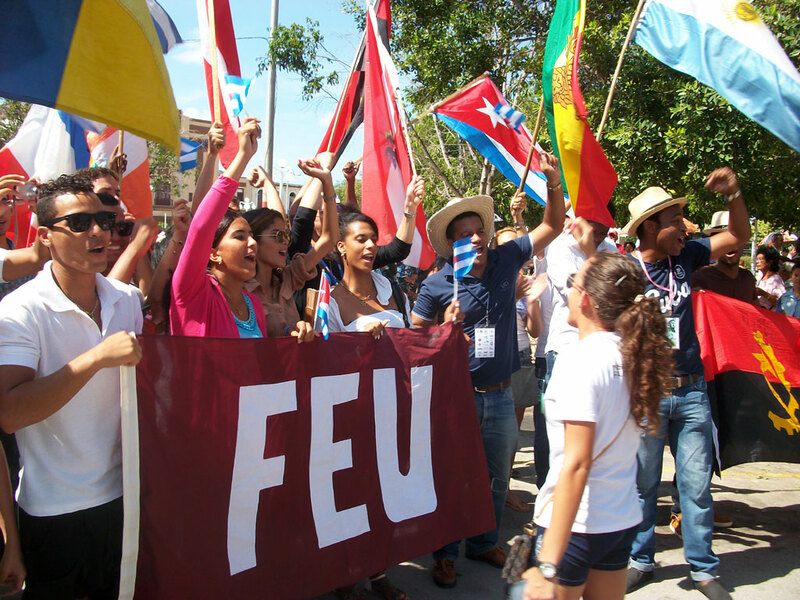 Havana, Jul 6 (Prensa Latina) Youth of the Cuban Federation of University Students (FEU) are beginning today the activities of the 9th Congress of the organization, whose official start will be tomorrow. Today’s program includes pre-congress meetings with representatives from the Ministries of Foreign Affairs, and Economy and Planning. Meetings with officials of those ministries and training organizations: Education, Higher Education, Public Health, Culture, Interior, Revolutionary Armed Forces and the National Institute of Sports and Recreation, are also on the list. A student march to the University of Havana will be held tonight to pay tribute to the FEU martyrs. In addition to the official opening of the Congress at the Havana’s Conference Center tomorrow, the structure of the National Council and the candidacy for the national secretariat of FEU will be presented and approved. Then, the delegates will work in five commissions: Organic functioning, Political ideological work, Teaching and research, University extension and Communication. The congress will conclude on Sunday, July 8, with the presentation of the elected national secretariat, a recognition to historical leaders of the FEU and the Cuban Revolution, and the final declaration of the congress.